THURSDAY, Oct. 29, 2015 (HealthDay News) -- If you struggle with chronic sinus infections and think surgery is the only way to end your misery, new research suggests that's not always the case. Sticking with treatments that can include nasal sprays, antibiotics and antihistamines may be as effective as surgery in helping some patients achieve a better quality of life, the small study found. 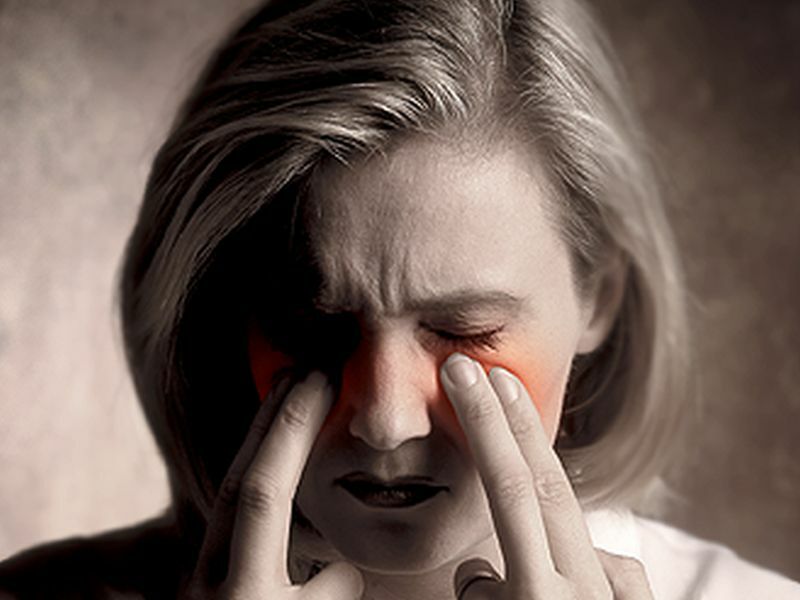 "Patients who have relatively minimally reduced productivity at work and minimally reduced quality of life from their underlying chronic sinusitis can avoid getting worse by continuing with medical therapy," said lead researcher Dr. Luke Rudmik, a clinical associate professor of endoscopic sinus and skull base surgery at the University of Calgary in Canada. Surgery, however, can be a good option for people with severe sinus infection, he said. "Patients who have severe reductions in their productivity and quality of life can get significant improvements in productivity by choosing endoscopic sinus surgery," Rudmik said. Chronic sinusitis reduces daily productivity, and lost work time from the condition is associated with a poorer quality of life. In the United States, sinus infections cost more than $13 billion in lost productivity each year, the researchers said. The decision to choose medical therapy versus surgery for chronic sinusitis should be based on patient preference, Rudmik said. "The decisions for each treatment should involve a shared decision-making process between physician and patient after informing the patient of their expected outcomes and potential risks," he said. The study, which was funded by the U.S. National Institutes of Health, was published online Oct. 29 in the journal JAMA Otolaryngology-Head & Neck Surgery. Dr. Jordan Josephson, a sinus specialist at Lenox Hill Hospital in New York City, said, "Chronic sinusitis is the number one cause for chronic fatigue and is closely associated with snoring and sleep apnea. "The condition brings with it a significant decrease in quality of life and is a significant drain on society, and those that suffer can be miserable," he said. Patients suffer from difficulty breathing, postnasal drip, cough and throat clearing, yellow-green discharge, headaches, hoarseness, allergies, asthma, bronchitis, memory loss and worsening of their stomach reflux disease, Josephson said. A treatment plan needs to be designed for each patient's needs, he said. "Medical therapy is the mainstay of treatment for chronic sinus sufferers," Josephson said. Treatment is directed at keeping the nasal passages clear and dry, and it can include nasal sprays, antibiotics, antihistamines and irrigation of the nasal passages. Which of these works best depends on the cause of the sinus infection. Causes can include allergies and asthma, but in many cases the cause isn't known, he said. "Surgery is just an adjunct to the necessary long-term medical plan that is required to improve the quality of these patients' lives," Josephson said. During surgery, the doctor uses probes and a laser to remove tissue and bone and polyps that have developed during the infection and are narrowing the nasal passages. The surgery can usually be done with local anesthesia, he explained. "For patients that may require surgery, newer techniques allow most patients to be free of black-and-blues, and most go home that same day," he said. After surgery, patients still need their medical treatment because the procedure doesn't stop the running nose, Josephson explained. In addition, because sinusitis is chronic, the same things that caused the narrowing of the airway leading to surgery are likely to happen again over time, he said. "The best news is that with newer technologies, a better understanding of alternative treatments and new surgical techniques, patients who have failed previous medical and surgical treatments now have renewed hope for a significant improvement of their quality of life," Josephson said.